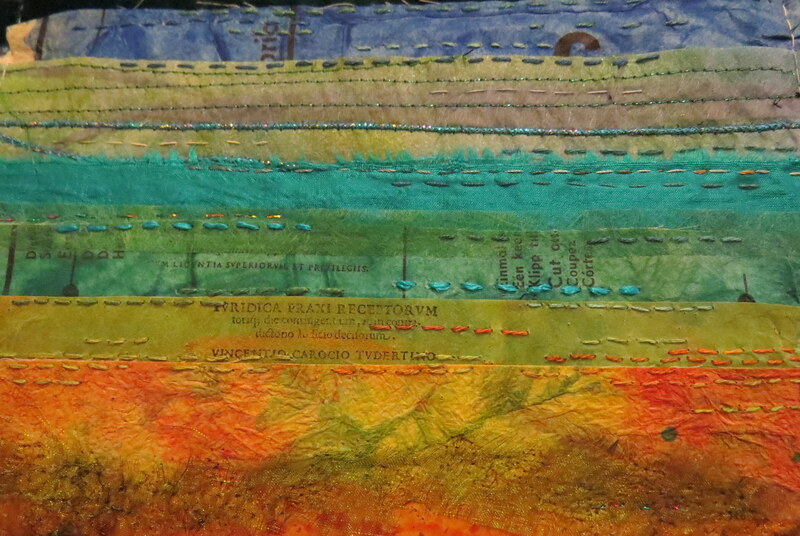 I’m busy stitching lines that hopefully pull the colours together on each panel. I think there are places down the panel that call for more, and some spaces better left for contrast (like the sand areas). 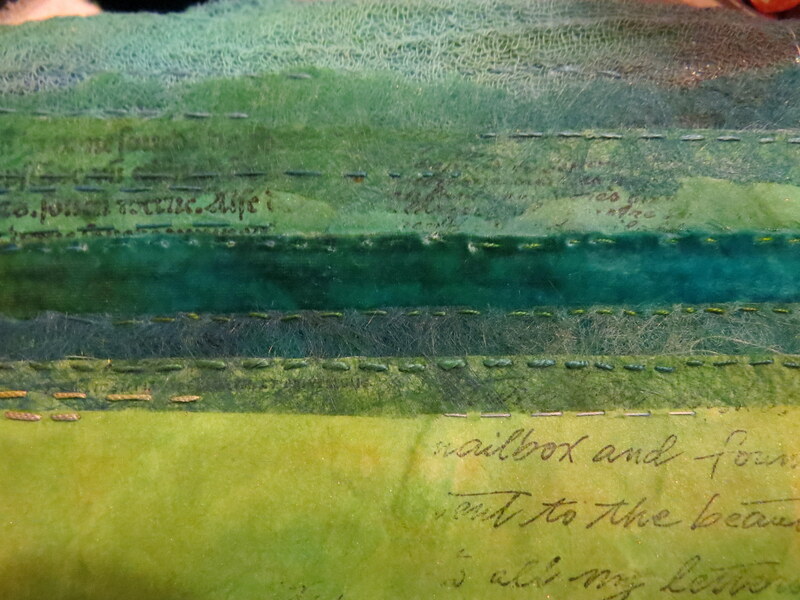 Already realising that more care is needed for pieces that include paper, but I’m just enjoying the slow process in an evening, and how ebb and flow is reflected in the rhythm of sewing.